The Karth Funeral home was estabished in Shawano in 1909 by Martin Karth. Originally located on Shawano's Main Street, it was moved to its current location in 1921 when the building was constructed at the corner of Sawyer and Randall Streets. Mr. Karth operated the funeral home for 56 years and later was joined by his sons Walter and Karl Karth. Over the course of many years the funeral home was updated and improved. 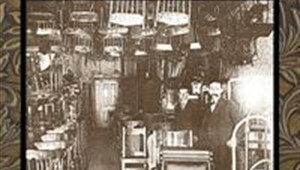 In 1976 the funeral home was purchased by Ron Kopitzke who retired in 1985, selling his interests to Russ Schroeder. In 1992 the funeral home was completely remodeled. A large chapel was added as well as parking areas, with total handicap accessibility. In 1998, Rob Mickelson joined the firm, and in 2012 Rob and his wife, Nancy, purchased the business from Russ and Teri Schroeder. The Mickelsons proudly continue this 103 year tradition of service to the Shawano area as Mickelson Funeral & Cremation Service. Rob and Nancy offer complete pre-planning services, traditional and cremation services, and monument sales. Our staff takes pride in providing the finest professional and compassionate service to the families they are privileged to serve, while maintaining respect for their traditions and beliefs. Rob Mickelson was born in Manistique, in Michigan's Upper Peninsula. He was raised in the suburbs of Detroit, and graduated from Romeo, Michigan High School in 1982. Rob then attended Western Michigan University for two years and transferred to the University of Minnesota where he earned his Bachelor of Science Degree in Mortuary Science as well as his License to Practice Mortuary Science in the State of Michigan in 1986. In 1990, Rob obtained his Funeral Directors license in Wisconsin and moved to Plymouth, Wisconsin, where he was employed at Wittkopp Funeral Service until October of 1998. He then relocated with his young family to Shawano, Wisconsin. Rob is active in the Shawano community. He has served as the President of the Rotary Club and was the Co-Chairman of the Fund Raising Committee. He was awarded the Paul Harris Fellowship by the members of the Rotary Club. He is a member of Sacred Heart Catholic Church where he serves as an usher. He and his wife, Nancy, are very active in the Shawano schools. They have served as chairmen of the Dinner Dance and Last Dance Committees in the music department of the high school, as well as the Co-Chairmen of the Annual Winter SHAZZ Festival. Rob also served as a board member for Safe Haven Domestic Abuse Shelter in Shawano. Rob and his family volunteer and participate in the Fight to Cure Juvenile Diabetes, as well as the Susan G. Komen Walk for the Cure. In addition to his responsibilities at the funeral home, Rob is the Shawano Area Representative for Appleton Marble & Granite. Designing monuments and markers for families has become a passion of his. Rob and Nancy have three boys; Alex, Teddy, and Jack. In his spare time Rob enjoys racquetball, grouse hunting, boating, and spending time with his family. Jake was born and raised in Shiocton, Wisconsin. He graduated from Shiocton High School with the class of 2009. Jake went on to study at Fox Valley Technical College for a year, then decided he wanted to be a funeral director. He joined the mortuary/funeral services program at Milwaukee Area Technical College, where he served as a board member for his class. Jake graduated in 2012, obtained his Funeral Director license, and then worked in Oshkosh assisting families for six years. In May, 2018, Jake joined Mickelson Funeral & Cremation Service, Inc. in Shawano. During his free time, Jake enjoys spending time with his family and friends. Hunting, fishing, and woodworking are some of his hobbies, as well as working on cars and boats. Jake is a genuine person who will lend a hand to anyone in need. Nancy is the Office Manager and Advance Funeral Planner for Mickelson Funeral Service. She received her license in Advance Funeral Planning and works with families to create a service which is perfect for them. 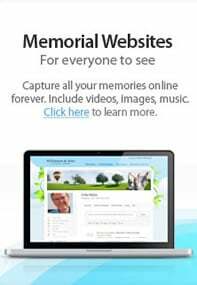 Nancy also designs personalized memorial folders for funerals and memorial services, and can prepare video memorials upon request. 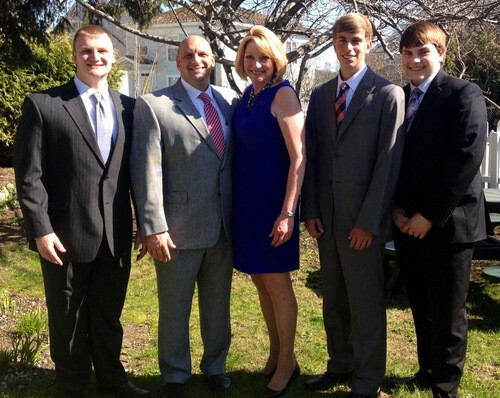 Nancy and Rob have three boys, Alex, Teddy, and Jack. She loves to travel with Rob, and visit all of their boys at their respective universities. Nancy also enjoys walking her dogs, Abby and Emma, playing with her cats, Violet and Tucker, and reading. Alex is the oldest of Rob and Nancy's three sons. He is a 2013 graduate of Shawano Community High School and a 2017 graduate of Winona State University in Winona, Minnesota. Alex earned his Bachelor of Science degree from WSU. He is currently pursuing his Doctorate in Physical Therapy with an emphasis on Sports Medicine from Des Moines University located in Des Moines, Iowa. His hobbies include duck hunting, fishing, wake boarding, and working out. Rob and Nancy are very happy to have him working at the funeral home while in Shawano, assisting with all aspects of the day to day operations. Zach is a 2015 graduate of Shawano Community High School. He has been a great asset to Rob and Nancy, working with the firm for the past year. Zach assists with funerals and memorial services, and maintenance of the building and grounds. His hobbies include working out, swimming, tennis, and painting. Teddy is the second oldest child of Rob and Nancy. He is a 2015 graduate of Shawano High School and is a senior at Winona State University in Winona, Minnesota where he is majoring in Sports Psychology. He plans to pursue a Masters Degree in Psychology following graduation next spring. When home from college, Teddy helps with funerals and memorial services, as well as taking care of the building and grounds. His hobbies include working out, playing the guitar, and coaching basketball.